The Task Force 51 Collective Operations Community is an online "gated community" and aggregated gamers' team officially founded in February 2005 as the CAG-51st "Goldenhawks" on Battlefield Vietnam by friends TheGrandmaster, Headhunter, XanderFi, and Annoying Error, with its roots found earlier in the summer of 2004. It has been described by its own members as "a highly-exclusive and small, yet tight-knit, circle of friends brought together through gaming" and "a gaming group that puts community interaction and friendship development first, and gaming second." From late 2013 to mid-2018, members of Task Force 51 maintained varying degrees of presence on SBM, with moderator and SBM Discord founder HawkbitAlpha being the most influential of all. They are most often associated with (and frequently misnamed as) the Tangi Gang (formerly "Team Rage"), a formerly-infamous personal group run by Hawkbit and Polecatz. A string of incidents in mid-to-late 2016 severely damaged relations between SBM and TF51, though they have been mostly neutral since, due to extensive restructuring of the staff in late 2016 and early 2017. Task Force 51 maintains a high level of secrecy, and is operated by a complicated hierarchy, deliberately structured to reflect the federal government of the United States. Successfully joining the community is extremely difficult, as the only way of doing so is to be selected by a member, go through a very intensive screening process, and finally be approved by both the screening manager and the two commanding officers. In 2016, only two people out of eleven applicants passed this process and became members. Chief Officer MartinattiX says of this unusual procedure that "Task Force 51 is, in essence, your everyday forum/gaming clan with the registration process and privacy insistence of the FBI." Originally, HawkbitAlpha and Polecatz were the only two who had intended to join SBM. However, in September 2013, with the arrival of StormAllenBryat, the two united the Tangi Gang on the forums to attempt to troll him in the chat, with strength in numbers. This eventually worked, but soon got out of control as the four began to ridicule anyone they felt deserved it. Feeling that the situation had gone too far, high-ranking members of TF51 (most importantly, then-head TheGrandmaster) joined SBM primarily to keep them under control. 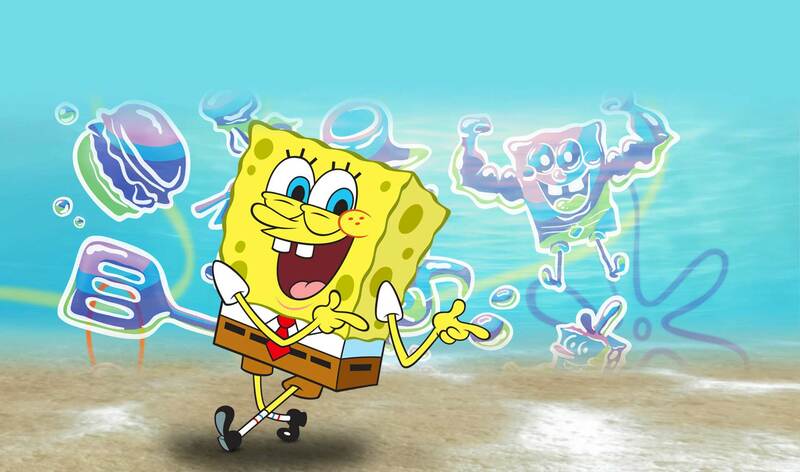 Despite never actively discussing Spongebob on the forums, many members of Task Force 51 are at least familiar with the show, and some of its members (especially those in Team Awesome) are known to make references and/or jokes to the show regularly. A few, namely HawkbitAlpha and Doc Hunter, are reputed for doing so around the forum. In October 2015, TF51 and all of its members (excluding Sir Madcatter, who remained merely as an overseer) were officially ordered to cease and withdraw from SBM by then-executive officer TheGrandmaster. Driven by Doc Hunter, TGM ordered a full withdrawal from SBM, in which all active members were ordered to leave, and no new members were allowed to register. A month later, in November 2015, he explained his reasoning for ordering the withdrawal. He cited his rival admin, SBM co-founder ssj4gogita4, as the main cause for the order, openly criticizing ssj's admin practices. However, in mid-December 2015, the other two staff members at the time - executive officer MartinattiX and commanding officer ThePhantomJustice - challenged TGM's decision, eventually coming to criticize him for acting on his own initiative without the consent of the entire staff team. In response, on December 21st, MartinattiX set up a team-wide poll on whether or not to lift the ban order. Out of the team's overall 27 members, 23 voted, and 4 abstained. The votes to lift the ban came in the majority, with the polls tallying 16 against 7. As a result, TGM's order of withdrawal has been overridden, allowing every willing member to return to SBM. During the above events, the Task Force 51 community as a whole was in the process of conducting its first formal election of staff members, as both TheGrandmaster and Headhunter were stepping down. The election boiled down to two pairs of running mates: HawkbitAlpha and Mardante11 versus VFA-51 founding members XanderFi and Annoying Error. Despite their long history of serving the group, the latter pair lost the election in what was considered the upset of the year, as Hawk and Mardante carried the team's at-large vote by a wide margin of 12 votes to 6. After being sworn in, one of Hawk's first moves was to state to SBM (in a thread originally slated to announce the previous withdrawal) that he would uphold the withdrawal order for a time, but also work towards fixing the relationship between TF51 and SBM in hopes of reversing it in the future. Near the end of his term, Hawk finally overturned the withdrawal. Following administrations have largely taken a neutral, hands-off stance towards SBM, beginning with the term of Hawk's successor, Mattaphobia. Though the site embargo has been reverted, its influence still remains, and most members of TF51 now avoid SBM, on the pretense that their presence is superfluous and would only cause more problems. However, aside from Hawk, a few members remain. One notable remaining member is former Chief Officer Annielectric, who joined SBM in January 2017 during her term as First Officer under Mattaphobia, and later served as the Deputy Server Admin of the SBM Discord between September 2017 and May 2018. Another is former Chief Officer Polecatz, who has been on the site since March 2013, and has a pre-existing reputation as the former "leader" of The Tangi Gang. The staff organization of Task Force 51, as previously mentioned, is designed to incorporate elements of the United States federal government. The community's hierarchy is listed below in order of importance. Chief Officer: The leading administrator of the group, responsible for duties including, but not limited to: selecting and/or approving applicant members (alongside the First Officer), setting the community's general rules, issuing declarations of war, and directing all of the clan's gaming activities. As of January 2017, both the Chief and First Officers are elected by the community every four months. The Chief Officer for summer 2018 is MartinattiX. First Officer: The second-in-command of the community, the First Officer is responsible for overseeing the group's at-large sessions, and also assumes the role of the Chief Officer when they are offline or otherwise unavailable. Along with the Chief Officer, First Officers are elected by the community members every four months. The First Officer for summer 2018 is Mardante11. Community Judiciary: The primary rule enforcers of the community. The Judiciary is made up of six individuals - one Chief Justice, and five Associate Justices - and primarily holds hearings regarding members who have broken the rules, deciding what their penalty will be. The Chief Justice is capable of unilaterally discharging members, though this decision can be reversed by the Chief Officer. The Judiciary's justices are appointed by the Chief Officer, and serve in the capacity until they resign or are removed by the community via vote. The Judiciary is currently comprised of Chief Justice StackOddity, as well as Associate Justices TheGrandmaster, Headhunter, Taedia Fortunata, HawkbitAlpha, and FairchildHawker.